You are currently browsing the category archive for the ‘What this site is about’ category. My church, Harvey Oaks Baptist Church in Omaha, has been extremely supportive of my Doctor of Ministry studies since I began the program back in 2004. Now that I have defended my thesis and plan to graduate on May 9, many of my church members have been calling me “Dr. Galloway!” I have also received many cards that are addressed the same way! I have to admit that it is fun to go through this. …Thank you, thank you, thank you…. …To everyone who has contributed to this bonhoefferblog since February of 2008. I greatly appreciate your feedback and input. As you may or may not know, this blog site was created to help me complete my Doctor of Ministry degree through Gordon-Conwell Theological Seminary. I had one final hurdle to go over and I found out yesterday that I cleared it. Therefore, my next step is to defend sometime early next year, and then Lord willing to graduate in May of 2009. Good morning from Jerusalem. My wife and I are about to begin the journey home after a great tour of the Holy Land. My name is Bryan Galloway. 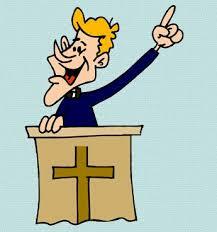 I am the senior pastor of Harvey Oaks Baptist Church in Omaha, NE. Allow me once again to explain the purpose of this blog. It is part of my thesis-project for my Doctor of Ministry (D.Min.) 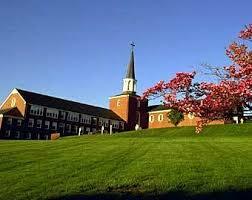 degree through Gordon-Conwell Theological Seminary in South Hamilton, MA. My D.Min. track is called “The Preacher and the Message“; and it is under the leadership of Dr. Haddon Robinson (see photo on right side of page). I began this program in March of 2004 and have completed all the requirements except this final thesis-project. 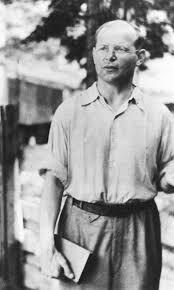 The theme for the thesis-project is “The Impact of Dietrich Bonho effer on Twenty-First Century Preaching and Preachers.” The purpose of this blog is to introduce six areas where Bonhoeffer can make an impact on preachers and preaching. You can click the links to the six areas on the top of this page. On top of that, this blog is also an attempt to receive feedback from preachers and pastors. As I presented the six areas of impact, I asked my readers to respond through an evaluation form. I would love any additional comments and/or questions about this project. Please comment on any post or e-mail me at bryan@harveyoaksbaptist.org.